Workplace pregnancy doesn't mean abandoning uniforms or unnecessary discomfort, thanks to the Grahame Gardner maternity range. 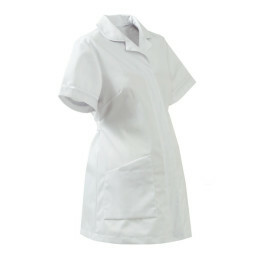 Our maternity uniforms include trousers, tunics and dresses, all of which are designed to help expectant mothers carry out their duties as comfortably as possible. Our maternity clothing is available in a range of colours, sizes and fits, and can be made to order if necessary.